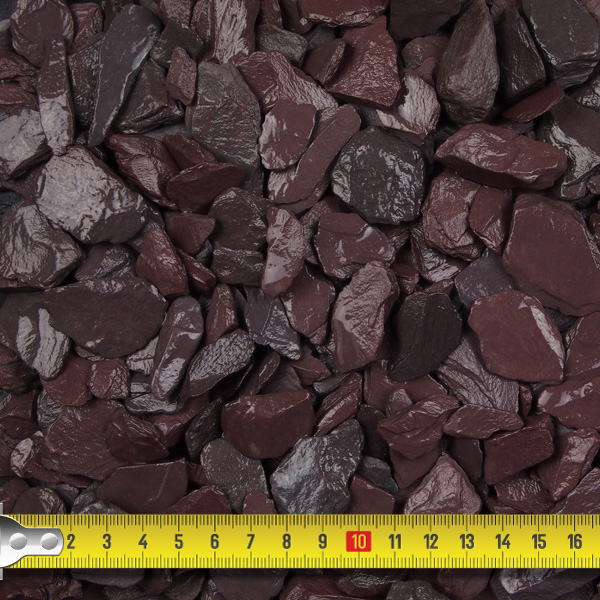 The best selling colour of slate chippings. 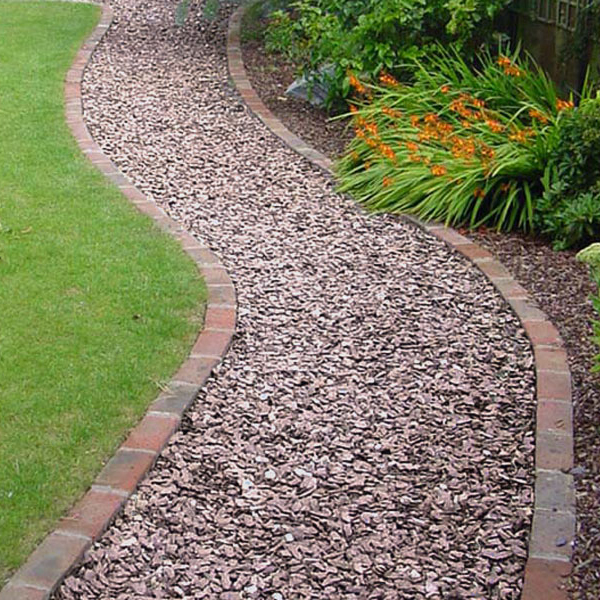 Ideal size for paths, drives and ground cover. Lays flat and good to walk on. The colour mainly plum/purple with odd bits of blue. Lovely colour when wet. Goes well with slate features or rockey lumps in another colour. Also known as Welsh Plum Slate. Best layed 3-4cm deep or deeper on drives. Will settle down quite well. The actual size ranges between 5-30mm. 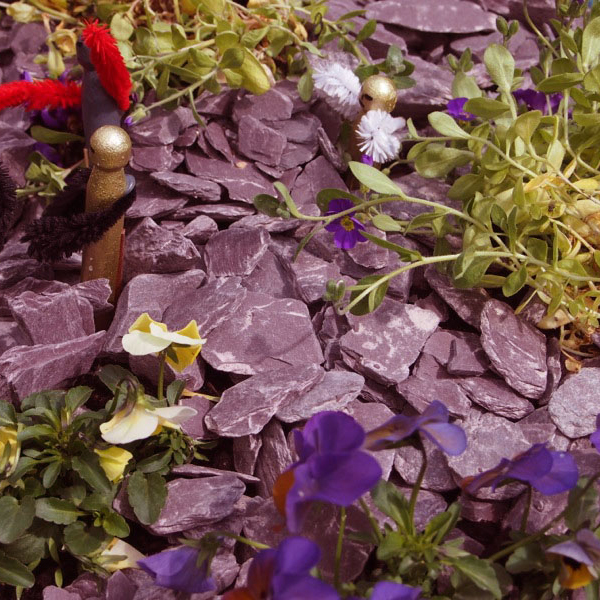 40mm Plum Slate is available if you require a larger size of slate. If you require even larger 50-100mm pieces try our Slate Paddlestones.